Although the first suggestion that a chemical transmitter might be involved with synaptic events was made by the legendary physiologist Emil du Bois-Reymond in the late 1850’s, the development of the concept of chemical synaptic transmission probably began in 1901 by John Newport Langley. A renowned British figure in the annals of Physiology/Pharmacology, Langley observed that adrenomedullary extracts, which contained both epinephrine (EPI) and norepinephrine (NE), were able to evoke responses in diverse tissues that were similar to those induced by sympathetic nerve stimulation. John Newport Langley. Photogravure. Credit: Wellcome Library, London. In 1905 Langley proposed that a ‘receptive substance’ on the effector cell was the site of action of chemical mediators liberated by nerve stimulation. The effector cell represented a key and self-contained element since it remained after degeneration of the presynaptic nerve ending. In postulating that receptive substance was a component of the effector cell which differed from the contractile elements upon which pharmacological agents act, Langley conceptualized the existence of a specialized component of the effector cell which was the site of action of then unknown mediators liberated at nerve endings. 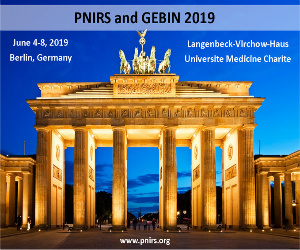 At about the same time in Germany, Paul Ehrlich developed his own receptor theory by studying the binding of toxins and antitoxins to tissues and introduced the term chemoreceptors for those cellular components able to selectively bind certain substances. Ehrlich’s early ideas of chemotherapy were based upon specific chemical affinities and he applied the concept of chemical (drug) affinity to develop salvarsan in 1916 as a treatment for syphilis. Ehrlich deduced that if a compound could be made that was selectively targeted for a given microorganism, the toxin for the microorganism could then be bound to the tissue selective agent. The result would be a ‘magic bullet’ that would target only a single organism. It is not an overstatement to conclude that Ehrlich’s early work with dyes was pivotal in establishing receptor theory of drug action. Despite the keen insight into drug action that was gleaned from the work of Ehrlich and Langley, it must be noted the receptor concept was not formulated by a primary interest in drugs or drug actions by these men, but from involvements in other types of projects. Yet, Ehrlich eventually accepted Langley’s idea that receptors existed not only for toxins but also for drugs. In doing so, Ehrlich not only advanced a general theory of chemical binding, thereby anticipating the potential for pharmacotherapy, but his work also provided the conceptual framework for the development of the concept of chemical transmission. By helping to explain the action of chemical substances at postsynaptic sites, the work of Ehrlich and Langley provided a basic conceptual model of the effects of drugs and ultimately of substances that had not yet been identified as endogenously produced by the body. The term synapse was first coined by the eminent British physiologist Sir Charles Sherrington in 1897. It was derived from the Greek meaning to ‘fasten together’ and was used to signify a site where the axon terminal of one neuron comes in functional contact with a second neuron. 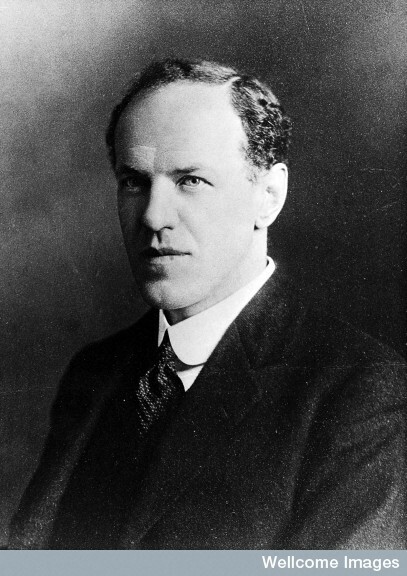 In formulating the concept of a synapse, Sherrington made the key observation that the processes involved differed in major respects from impulse conduction along the neuron. While this concept took many years to establish into scientific lore, the tenacious and unflagging efforts of the gifted scientists that are chronicled in this brief narrative brought this controversy to a successful conclusion. Portrait of Thomas Renton Elliott, circa 1920. Credit: Wellcome Library, London. The initial experiments directed toward unraveling the fundamental mechanism by which nerves interact with diverse effectors must be attributed to a young graduate student named Thomas Renton Elliott. In 1904, Elliott, a research student in the Department of Physiology at Cambridge in the U.K, was conducting an extensive investigation on the comparative effects of sympathetic nerve stimulation and the actions of extracts of the adrenal medulla (EPI). During the course of his research on a large number of species and organs, Elliott became aware of the similarity between the pharmacological actions of EPI and the effects of sympathetic nerve stimulation. He demonstrated that the effect of sympathetic nerve stimulation of the bladder varied from species to species and that there was a similar variation in the action of EPI. The relationship was so striking that Elliott regarded an effect of EPI on a given tissue as evidence for the existence of sympathetic innervation. In a brief report to the Journal of Physiology in May, 1904, he made a definitive statement about the very striking association between the actions of EPI and sympathetic nerve stimulation. The following conclusion taken from Elliott’s 1904 abstract represents the introduction of the concept of chemical transmission into the annals of science by the statement that “Adrenalin might then be the chemical stimulant liberated on each occasion when the impulse arrives at the periphery”. In a 68 page treatise Elliott provided numerous examples of this association and offered the idea that the effector stimulated by EPI was the ‘myoneural junction’ and not the nerve terminals or muscle fibers. Elliott also predicted what is now known about the function of ACh at postganglionic parasympathetic nerves, synapses in autonomic ganglia, and the neuromuscular junction. Elliott’s intuitive recognition of a biochemical link among these three sites would be confirmed by experimental evidence more than ten years later. 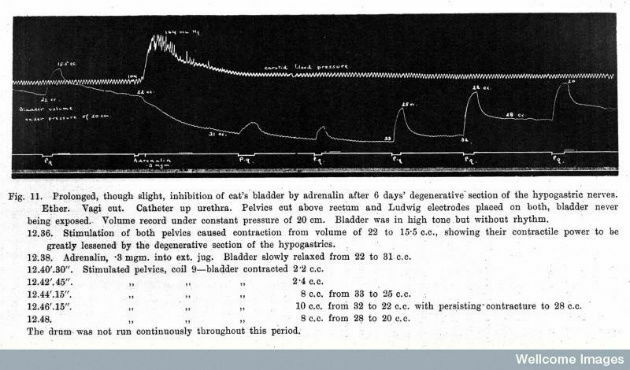 Effect of adrenalin on the cat bladder. : From: Journal of Physiology, By: Thomas Renton Elliott, Published: 1905, page 442, Figure II. Credit: Wellcome Library, London. However, the concept that Elliott had reported in his preliminary note in 1904, was not reaffirmed in his subsequent publications, despite the fact that alternative theories to explain his findings were not offered by his scientific colleagues. The reluctance of Elliott to promote his theory may be attributed to the perceived lack of interest in his work exhibited by the scientific community, in particular, by John Langley, his mentor and Department Chair. Langley was an individual who frowned upon speculative theories, especially one articulated by a relative neophyte working under his supervision. Perhaps discouraged by the lack of support for his theory, Elliott decided to terminate his research activities and continue his clinical training. After serving as a high-ranking officer in the military during World War I, Elliott returned home to occupy the first of London’s full-time Chairs of Clinical Medicine at University College Hospital. He focused his attention on the organization and administration of his clinical research unit, which included teaching and research in a wide range of disciplines. Elliott won many rewards for his service over the years, and most notably he was elected to the very prestigious Fellowship of the Royal Society of London. So, while Thomas Elliott’s research contributions were not encapsulated into a lasting legacy, as a multitalented individual, he was able to utilize his clinical skills to establish his place in the annals of clinical medicine. Nevertheless, Elliott’s seminal work became a paradigm for later studies which would ultimately lead to the elucidation of the basic processes involved in nerve function. 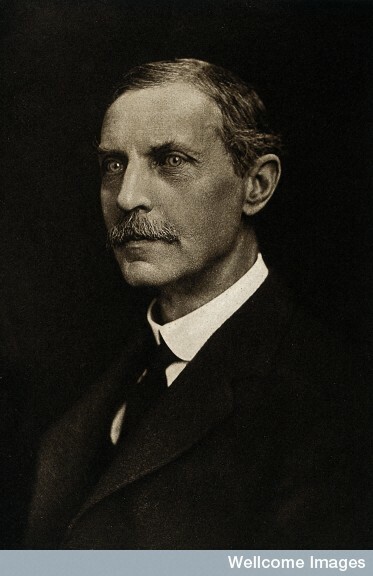 In 1907, Walter E. Dixon, a British Pharmacologist followed-up on Elliott’s findings by demonstrating the release of a putative neurotransmitter in the mammalian heart following stimulation of the vagus nerve. After making an extract from canine heart following vagal inhibition, Dixon found that this extract produced a depression of contractility of an isolated frog heart. The depression induced by the extract, like that caused by vagal stimulation, was reversed by the muscarinic antagonist, atropine. At the same meeting, Reid Hunt, an American pharmacologist, reported that the adrenal gland produced a hypotensive substance that was too robust to be attributed to the choline content of the gland. This experiment encouraged Hunt to investigate a series of related compounds which were synthesized for him by R. Taveau. One of these esters was acetylcholine (ACh), whose pharmacological effects were more than 1000 times greater in magnitude than those of choline. It was then up to Henry Dale to carry out a detailed analysis of the pharmacological actions of ACh. Henry Dale was one of the leading physiologists and pharmacologists of the twentieth century, whose work first at the Wellcome Research Laboratories and later at the National Institute for Medical Research led to the further development of the concept of chemical neurotransmission. Dale’s work was strongly influenced by Paul Ehrlich. During Dale’s tenure of a fellowship at University College London, he traveled to Germany to work under Ehrlich for four months (1903-1904). Dale did not remember it as a particularly productive time, but the interactions with Ehrlich had an enduring influence on his thinking about the physiological actions of drugs at the chemical level. As a result, Dale’s work enabled others to view the action of drugs through actions on their receptors. The strong influence that Ehrlich’s work had on Dale’s own research is documented by the fact that Dale eventually compiled the scientific papers of Ehrlich and had them published; he also wrote introductions to two compilations of Ehrlich’s writings. Portrait of Sir Henry Dale and King Gustav. Credit: Wellcome Library, London. Between 1914 and 1929, Dale and his colleagues pioneered the study of the pharmacological properties of ACh. In a detailed analysis chronicled by a paper published in 1914, Dale observed that the pharmacological effects of exogenous ACh exhibited a striking similarity to the effects of parasympathetic nerve stimulation. He also concluded that the effects of ACh were comprised of muscarinic (blocked by atropine) and nicotinic actions (mimicked by nicotine). Observing that the effects of ACh were dissipated with remarkable rapidity, Dale proposed that an esterase in tissues or blood was responsible for its rapid metabolism. While impressed by the similarity between the actions of ACh and parasympathetic nerve stimulation, Dale was reluctant to interpret his results in terms of physiological mechanisms because of the meager amount of experimental evidence that was available at the time, as well as the limitations in methodology. So, to continue his elaboration of the theory of neurochemical transmission, Dale had to wait for two decades until the leech muscle preparation became available, providing an assay system that was highly specific and sensitive to ACh. In 1914 Henry Dale also published a detailed study of the sympathomimetic actions of a number of biogenic amines synthesized by his colleague George Barger. By demonstrating that several, structurally diverse amines reproduced the effects of sympathetic nerve stimulation, Dale provided support for the hypothesis elaborated several years earlier by Thomas Elliott that EPI, or some other catecholamine, transmitted the response elicited by sympathetic nerve stimulation to the postsynaptic effector. However, Dale and Barger ignored the most physiologically relevant derivative, NE, which might have led to the identification of the putative neurotransmitter of postganglionic sympathetic nerves several decades earlier. Many years after the publication of this classical paper, Dale is reproachful for not realizing that in elaborating his theory of chemical transmission in 1904, Thomas Elliott was correct in principle and remiss only in the actual identity of the putative neurotransmitter. In reflecting on why he did not initially become an advocate of the chemical theory of neurotransmission, Dale noted the fact that exogenous administration of EPI produced several inhibitory actions on sympathetically innervated end organs that were not duplicated by sympathetic nerve stimulation. So, the physiological mechanisms involved in the transmission of signals across synapses continued to be debated. Certain distinguished scientists of the time even proposed that synaptic transmission was an electrical event, brought about by transmission of the activation wave from the nerve ending to the effector. The classic demonstration of the theory of chemical transmission was finally achieved in 1921 by a simple, yet ingenious, experiment carried out by Otto Loewi in the Department of Pharmacology at the University of Graz in Austria. Loewi had maintained an enduring interest in synaptic transmission, and the sequence of events leading to this famous scientific discovery began the night before Easter Sunday in 1920, when he awoke and scribbled a few notes. The next day he found his scrawls unintelligible. Fortunately, however, the idea reappeared the next night; so he returned to his laboratory and performed the now-classical experiment that was to revolutionize the concepts involved in synaptic transmission. 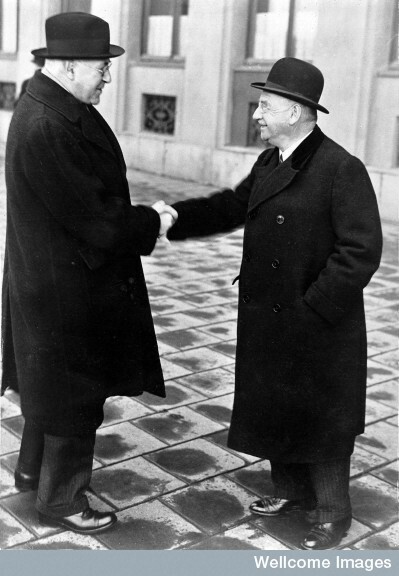 Sir Henry Dale and Professor Otto Loewi outside the Grand Hotel, Stockholm at the time of the presentation to them of the Nobel Prize for the Physiology and Medicine, 1936. Credit: Wellcome Library, London. After Loewi placed two frog hearts in a single bath, the stimulation of the vagus nerve of one heart caused it to slow, while producing a decrease in the rate of the second heart. From this experiment, Loewi made the obvious conclusion that a substance released from the first heart caused an inhibition of the second heart. He termed the unknown substance vagus-stoff. Subsequent papers by Loewi provided further evidence favoring the similarity of this substance to ACh, including its characteristic sensitivity to destruction by an esterase which Loewi had extracted from heart muscle. Loewi also utilized the frog heart preparation to demonstrate that sympathetic nerve stimulation caused the release of an EPI-like substance, which he called accelerans-stoff. He showed that it shared many of the properties of EPI in that it could be destroyed by alkali and U-V light, and its activity at adrenergic effector sites was blocked by ergotamine and augmented by sub threshold concentrations of cocaine. Loewi also observed that the responses to sympathetic nerve stimulation and to EPI on the heart declined very slowly, in contrast to the transient effects of ACh, thus suggesting different modes of inactivation. Loewi proposed from his experiments that parasympathomimetic effects were transmitted by ACh, and sympathomimetic effects were mediated by EPI. The scientific community was not eager to accept Loewi’s theory because the frog heart preparation was considered to be an unpredictable experimental model which functioned as a hypodynamic heart. However, decisive evidence in favor of Loewi’s hypothesis was eventually produced when the liberation of vagus-stoff was observed in a non-hypodynamic heart preparation. The idea proposed by Dale in 1914 that the rapid enzymatic breakdown of ACh might be due to the presence of esterases in blood and tissues was confirmed in 1926 by Loewi and Navratil when they reported that extracts of frog heart tissue rapidly degraded ACh, presumably by a form of cholinesterase. They also found that eserine could not only inhibit the enzyme, but could also markedly enhance the inhibitory effect of ACh and vagus-stoff on the frog heart. So, vagus-stoff could finally be defined pharmacologically as a substance whose action was enhanced by eserine and inhibited by atropine; these were properties identical with those exhibited by the muscarinic actions of ACh. This work left little doubt that the nerve stimulus was transmitted to the post-synaptic effector organ by chemical, rather than electrical, processes. Although Loewi’s initial experiments were not very striking, he had the courage and tenacity to continue to advance a concept that would be confirmed in its most basic form by subsequent research (B. Minz, 1955). In 1926 Loewi was able to reproduce the experiment eighteen times on the same frog heart preparation at the famed Karolinska Institute in Sweden. Moreover, the introduction of the leech muscle preparation, a bioassay preparation that was extremely sensitive to very low levels of endogenous ACh, enabled Wilhelm Feldberg and Otto Krayer in 1933 to demonstrate definitively that vagus nerve stimulation caused the liberation of ACh into the coronary vasculature of mammals. So, by the early 1930’s, it was generally, but not universally, accepted that the autonomic nervous system was regulated by two substances with antagonistic actions: an ACh-like agent liberated by parasympathetic fibers and an EPI-like substance liberated by nerve fibers of the sympathetic system. At this point, evidence was still lacking that the physiological constituent under investigation was indeed ACh, and not some choline ester with similar pharmacological properties. Progress on this problem was made by Dale and Dudley in 1929, when they reported the extraction and identification of ACh as a natural product of oxen and equine spleen. Dale, now working at the National Institute for Medical Research in London, coined the term ‘adrenergic’ and ‘cholinergic’ to describe the actions of autonomic and motor nerve fibers. The hypothesis of an ACh-like transmitter was later extended to autonomic ganglia by Dale and his distinguished associates that included Wilhelm Feldberg, John Gaddum, and Marthe Vogt. The demonstrated presence of cholinesterase in sympathetic ganglia provided support for the idea that there was rapid hydrolysis of ACh, once it was secreted into the synaptic cleft. These findings and those previously provided by Loewi demonstrated that a fundamentally similar mechanism was involved in synaptic transmission of excitatory effects at all autonomic ganglia and postganglionic effector sites. Dale’s findings that ACh was the chemical transmitter at the neuromuscular junction were counter to the scientific dogma of the time, since it was believed that the transmission process at this site must be electrical in nature because of the extreme rapidity of the responses. However, the liberation of ACh was demonstrated by Dale and his colleagues Wilhelm Feldberg and Marthe Vogt following stimulation of motor nerves in several skeletal muscle preparations. ACh release occurred even when the responsiveness of the motor end-plate was diminished by curare. This inhibitory effect on the neuromuscular junction represented an analogous result to that obtained by Loewi on postganglionic parasympathetic effector sites, in which atropine blocked the postsynaptic action of ACh on cardiac muscle, but did not affect its release elicited by vagal nerve stimulation. By the 1950’s, the development of sophisticated intracellular recording techniques enabled Sir Bernard Katz and his associates to conduct a comparative study on the effects of exogenous ACh and nerve stimulation at the motor end-plate. So by the 1950’s, when overwhelming evidence finally resolved the argument, the concept of chemical transmission was universally accepted with negligible dispute. However, the problem still remained to conclusively identify the substance involved in synaptic transmission at postganglionic sympathetic nerve terminals. Although Elliott had shown that the effects of EPI were similar to those of sympathetic nerve stimulation, significant differences were also observed. Thus, unlike EPI, the inhibitory effects of the putative transmitter substance were not prominent following nerve stimulation. Walter Cannon , the eminent Harvard physiologist, and his colleague Arturo Rosenblueth attempted to solve this conundrum by postulating that sympathin, a hypothetical mediator elaborated by sympathetic nerves combined with either excitatory or inhibitory substances at the postsynaptic site, forming either sympathin E (an excitatory stimulus) or sympathin B (an inhibitory stimulus. If Cannon and Rosenblueth had conceptualized a link between sympathin E and NE, it would have explained the difference between the effects of EPI and the effects of sympathetic stimulation which these investigators had observed during adrenergic receptor blockade by ergotoxine. The idea that liver sympathin might correspond to NE was repeatedly advanced by the Belgian researcher Z.M. Bacq during the 1930’s. However, it was not until 1937 that experimental evidence was presented by Greer et al. (J. Pharmacol. 62:189-227, 1938) that sympathin was identical with NE. Supportive experimental evidence was not forthcoming until 1946 when U.S. von Euler employed bioassays using two different preparations and a fluorometric technique which yielded differences in fluorescence intensities to NE and EPI to unequivocally establish that NE was the adrenergic transmitter at sympathetic nerve terminals. Electron microscopic studies carried out by von Euler and Nils-Ake Hillarp also showed that a particulate fraction isolated from a homogenate of adrenergic nerve tissue was composed of granular structures that were later found to sequester a disproportionately large amount of NE. These studies complemented the key investigations relating to the synthesis and fate of adrenergic neurotransmitter subsequently conducted by Julius Axelrod. Although the demonstration that NE, rather than EPI, served as the neurotransmitter in adrenergic nerves addressed some of the unexplained experimental findings generated over the years, it was still necessary to explain the mechanistic basis of the excitatory and inhibitory responses elicited by sympathetic nerve stimulation. In 1948, Raymond Ahlquist at the Medical College of Georgia formulated the simple postulate that if the rank order of potency of a series of catecholamines differed from one tissue to another, these variations in relative potencies must be due to differences in the receptors involved. When various catecholamines were tested on a variety of mammalian test preparations, only two orders of potency were identified; (a) EPI>= NE>>> isoproterenol – excitatory events (vasoconstriction); and (b) isoproterenol>> EPI>>>NE – inhibitory events (vasodilatation; bronchodilation). Utilizing the knowledge provided by von Euler that NE was the sole neurotransmitter at postganglionic sympathetic nerves, Ahlquist postulated that the action of NE was mediated by two types of adrenergic receptors, which he designated alpha and beta. This fundamental concept of αlpha and beta receptors would have highly significant therapeutic implications because it led to the development of more selective adrenergic receptor agonists and antagonists such as nadolol, which is employed in the treatment of hypertension by selectively depressing cardiac contractility and terbutaline, which is employed in the therapy of asthma to selectively dilate bronchi. By establishing the concept of chemical transmission in peripheral nerves, the work of Dale and Loewi provided the impetus for further experimentation by others to probe the mechanisms of synaptic transmission in the central nervous system. Loewi’s long term commitment to his ground-breaking theory deserves the highest of accolades. Despite his original ambivalence, Dale’s prestige and influence, plus his own experimental findings, helped to foster the ultimate acceptance of one of the most basic concepts in all of biology, revealing a fundamental unity of excitation and inhibition in neuronal elements. Because of their work, not only were the basic neurotransmitters of the adrenergic and cholinergic nervous systems identified, but the processes involving their biosynthesis, release, actions, and inactivation were eventually elucidated. As a result, our fundamental understanding of basic neurochemical processes in the peripheral and central nervous systems were prodigiously enriched. 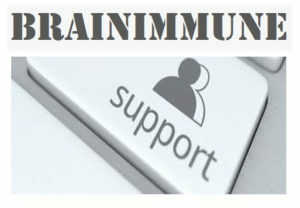 In addition, by providing the foundation for an in depth understanding of synaptic transmission, Otto Loewi, Sir Henry Dale, and their colleagues led to significant insights into the causes and treatment of such diseases as depression, anxiety, hypertension, Parkinsonism, Alzheimer’s disease, and myasthenia gravis, as well as to the subsequent development of drugs effective in treating these disorders. 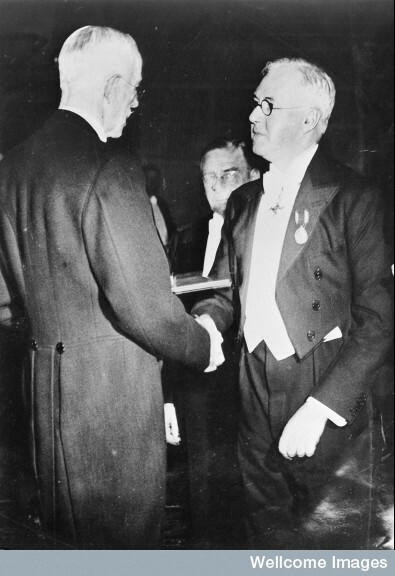 In recognition of their revolutionary work, Henry Dale and Otto Loewi shared the Nobel Prize in 1936. From Nobel Lectures; Physiology or Medicine; 1936 – 2000; Elsevier Publishing Company; Amsterdam. Adventures in Physiology – Sir Henry Hallett Dale; Pergamon Press; 1953. Readings in Pharmacology – Louis Schuster, Editor; Little, Brown, & Company; 1962. The Role of Humoral Agents in Nervous Activity – Bruno Minz; Charles C. Thomas; 1955. In Memory of Sir Henry Dale – Paul Girolami, Helena Taborikova, and Giuseppe Nistico eds. Accademia Romana di Scienze Mediche e. Biologiche; Rome Italy, 1994. The Emergence of the Drug Receptor Theory by Maehle, A-H, Prull, C-R, and Halliwell, R.F. Nature Reviews – Drug Discovery 1, pp. 637-641, 2002. The Collected Papers of Paul Ehrlich: Why was Volume 4 Never Published? Silverstein, A.M. Bulletin of the History of Medicine; The Johns Hopkins University Press 76.2 pp. 335-339, 2002.